I fell in love with the look of the Melie Bianco Katelyn Fringed Handbag from Silvia's Handbags because I just love how much the fringe can make this bag stick out, without making it tacky. I love the grey color because it goes with so much and I think that no matter what the occassion, the fringe on this handbag will look great with any outfit. 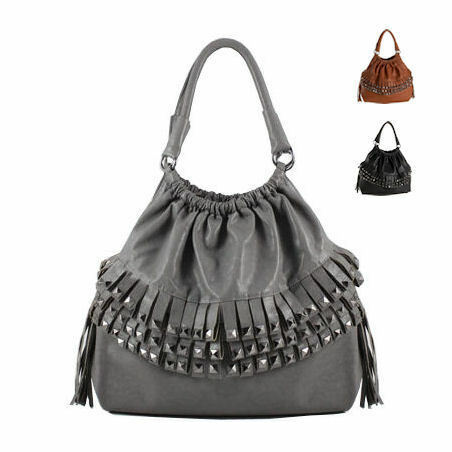 The slouchy look at the top is perfect for a relaxed and casual feel, but of course, like any Melie Bianco bag, there is plenty of room to fit all of your items! !